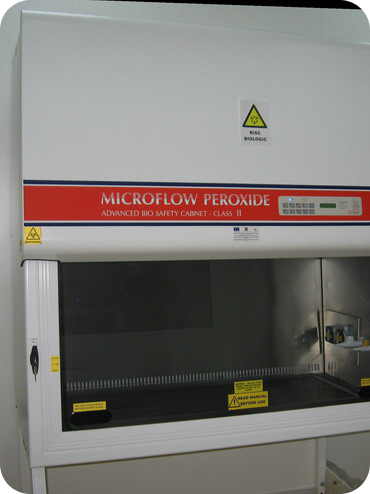 - nanohazard avoiding systems are used in investigation laboratories. 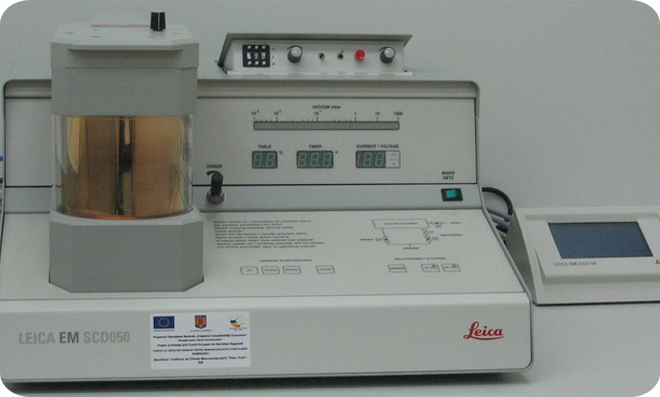 LEICA EM CPD300 Automated Critical Point Dryer, Leica Microsystems. 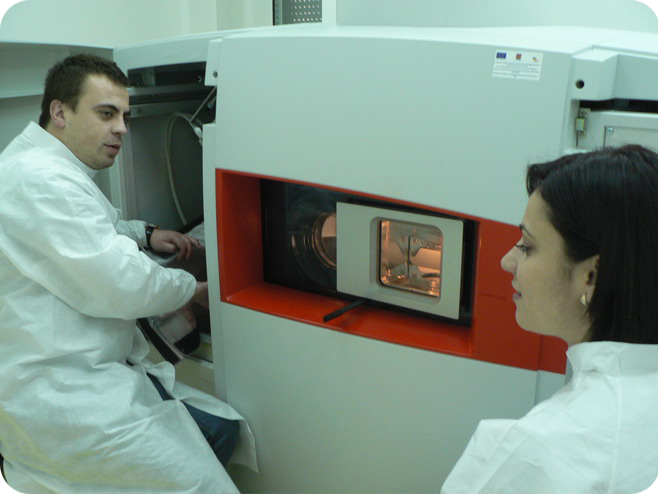 Ph.D. Student Adina Coroabă – Physicist, bachelor and master degree in Physics at “Alexandru Ioan Cuza” University, Iasi, Romania; Ph.D. Student at the “Petru Poni” Institute of Macromolecular Chemistry Iasi, Romania – in the company since 2011; experience in the characterization methods on different types of materials, especially polymers, using X-ray Photoelectron Spectroscopy (XPS) and Fluorescence Spectroscopy. 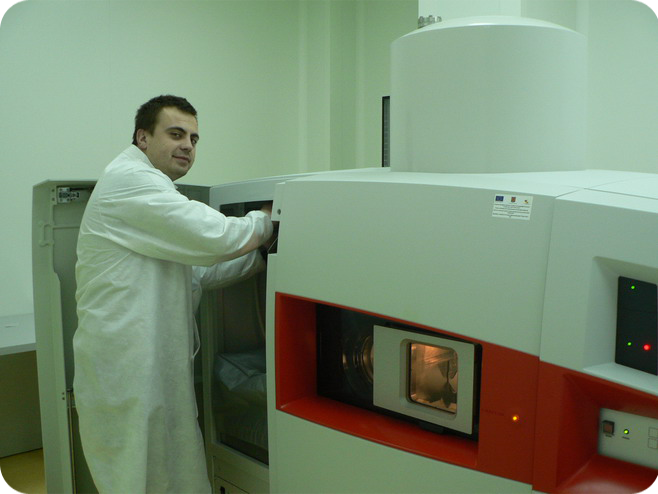 Ph.D. Student Ioan-Andrei Dascălu – Biochemist, bachelor degree at “Al. I. Cuza” University; master degree at „Gheorghe Asachi” Technical University of Iaşi; Ph.D student at the Romanian Academy, “Petru Poni” Institute of Macromolecular Chemistry. Working field: Synthesis of various water soluble fullerene C60 derivatives, with variable dimensions, to serve as molecular platforms for a wide range of bioactive compounds such as drugs (drug delivery) or DNA (gene transfection). 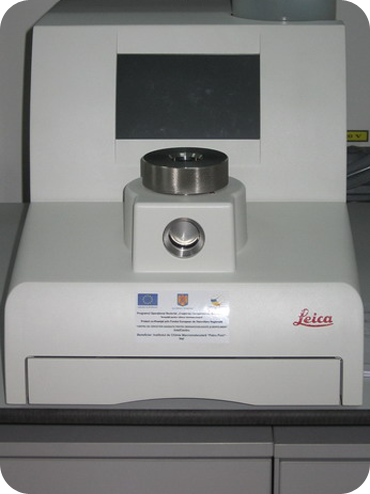 Axis Nova XPS device (Kratos Analytical, Manchester, United Kingdom) measures the elemental composition, empirical formula, chemical state and electronic state of the elements that exist within a material. It is used to analyze inorganic compounds, metal alloys, semiconductors, polymers, elements, ceramics, bones, medical implants, bio-materials and many others. Technical details of Axis NOVA: X-ray source: AlKα (1486.6eV), 40 mA maximum current and 15kV maximum voltage (600W); pressure in the sample analysis chamber: ~5x10-10Torr; charge neutralisation; photoelectron detector: MCP stack and delay-line detector, scanned and snapshot spectroscopy modes, 2D imaging mode; Ar+ ion gun (500V÷4kV) used for contaminants removal; depth profiling for multilayer samples and Angle Resolved XPS (ARXPS); automation and sample viewing. Angle resolved XPS (ARXPS) is an important tool for non-destructive near surface and ultra thin film analysis. The Ultra HSA provides the highest energy resolution at all take off angles as well as detecting very low concentrations of near surface species. Automated eucentric positioning of the sample ensures that the analysis position remains constant as the sample is tilted. 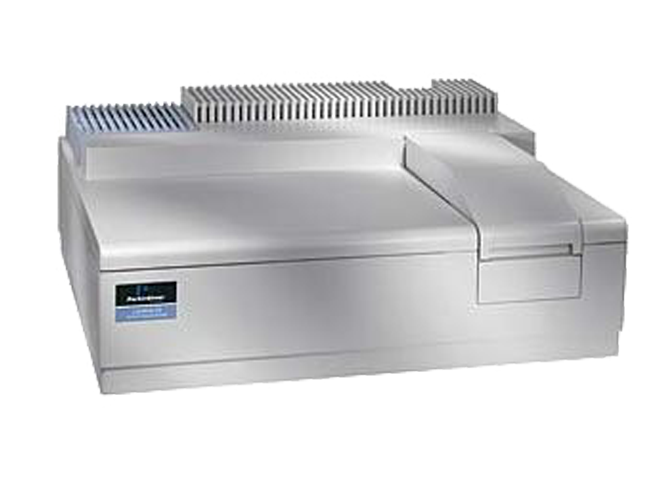 Automatic charge neutralization allows all types of sample to be analysed by ARXPS automatically. 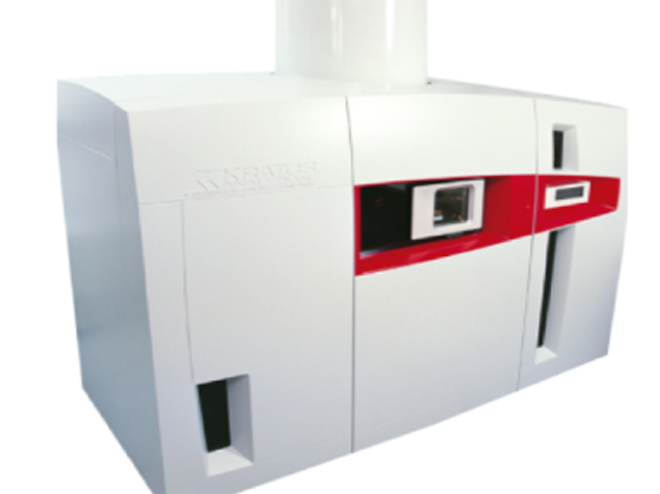 Chirascan™ CD Spectrometer (Applied Photophysics Limited, UK) it is used extensively to study chiral molecules of all types and sizes, but it is in the study of large biological molecules where it finds its most important applications. 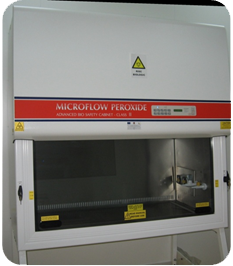 It is used primarily for looking at protein secondary & tertiary structure, protein folding and the stability of proteins in different environments. Specifications: 150W Xe arc, air-cooled light source; wavelength range: 165nm÷1360nm; stray light: <3ppm at 200nm; baseline stability: ±0.02 mo /hr; CD full scale: ±6000 mo; CD resolution: better than 0.0001mo in 6000mo; kinetic modes: linear timebase, split-linear timebases, logarithmic timebase; detection modes: circular dichroism, absorbance/transmission, voltage, detector HV, temperature, fluorescence, FDCD, ORD, linear dichroism, integrating sphere; permanent magnet; cell holder with Peltier temperature control. 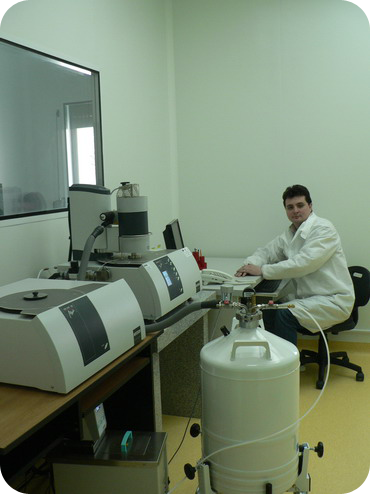 Ph.D. Student Cristian-Dragoş Varganici – Chemical engineer; bachelor and masters degree in polymer science and engineering at „Gheorghe Asachi” Technical University of Iasi, Romania and currently Ph. 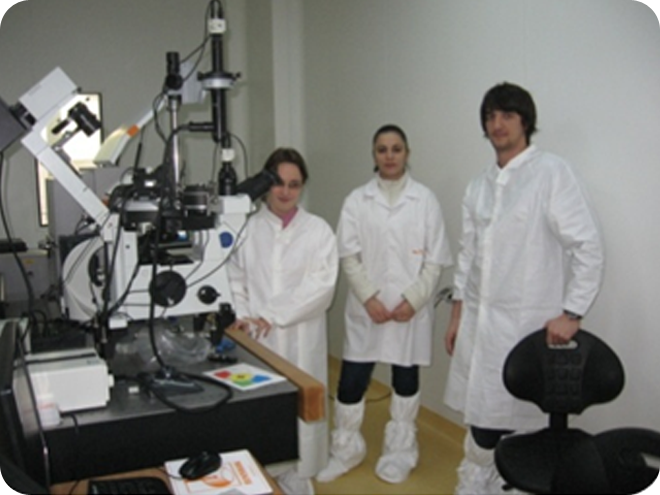 D. student at “Petru Poni” Institute of Macromolecular Science, Iasi, Romania. Fields of interest: thermal and photochemical stability of polymers, thermal degradation kinetics of polymers, polymerization/depolymerization, crystallization and curing kinetics by calorimetric analysis, materials ageing studies. Specific heat and absolute heat capacity of polymers determination. Dr. Elena-Laura Ursu – Biophysicist, Ph.D in physics at „Al. I. Cuza” University of Iasi, Romania and curently postoctoral position at “Petru Poni” Institute of Macromolecular Chemistry, Iasi, Romania. Experience and background: atomic force microscopy and Raman spectroscopy, synthesis and characterization of various types of nanoparticles (magnetite, silver and platinum nanoparticles) with application in biomedicine. NTEGRA Spectra (NT-MDT atomic force microscope coupled with inVia Renishaw Raman confocal microscope) supports most of the existing AFM modes and provide comprehensive information about physical properties of the sample with nanometer scale resolution: local stiffness, elasticity, conductivity, capacitance, magnetization, surface potential and work function, friction, piezoresponse etc. 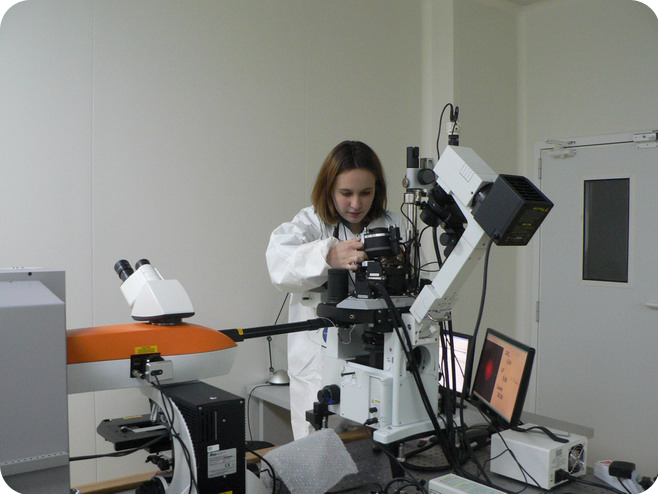 Simultaneously with AFM, confocal Raman measurements provide information about sample chemical composition, crystal structure and its orientation, presence of impurities and defects, macromolecular conformation, etc. Measurements can be performed through inverted light excitation geometry. AFM-Raman measurements can be run in air or in liquid (under controlled temperature). Laser source available for Raman system is a 632.8 nm (50 mW) HeNe laser. The system has a CCD detector and a motorised xyz-stage for mapping. The microscope is equipped with a video camera that allows viewing the sample in white light and laser light spot simultaneously. AFM and Raman measurements can be run separately and simultaneous. Eng. 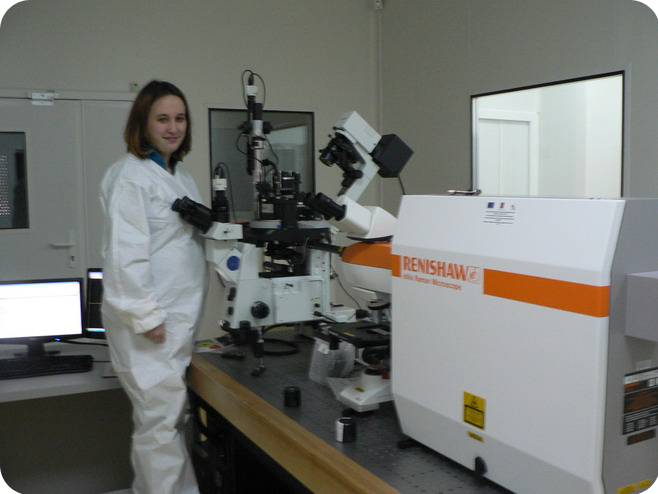 Florica Doroftei – in the company since 2008; experience and background: studies and analysis of various types of materials (polymers, minerals) by scanning and transmission electron microscopy; sample preparation for electron microscopy; qualitative/quantitative elemental analysis EDAX;13 ISI indexed papers, most of these data have been included in national and international projects. LVEM5 TEM-SEM-STEM-ED (Delong America) was designed for the purpose of obtaining higher image contrast in electron microscope due to decreasing of accelerating voltage at 5kV. (Delong at al. 2000). This fact was fully proved by experiments on polymers and on animal tissue embedded in epoxy resin. The samples are placed on standard 3mm discs or grids. Dr. Adina Arvinte – PhD degree in analytical chemistry at University of Bucharest, Romania in 2009; post-doctoral fellowship at the Laboratory of Biotechnology, Sotkamo, a unit of University of Oulu, Finland. Currently, post-doctorate researcher at “Petru Poni” Institute of Macromolecular Chemistry since 2010. The area of competencies includes functional nanocomposite materials, the design and application of new electrochemical sensors and biosensors, analytical chemistry and enzyme immobilization techniques. 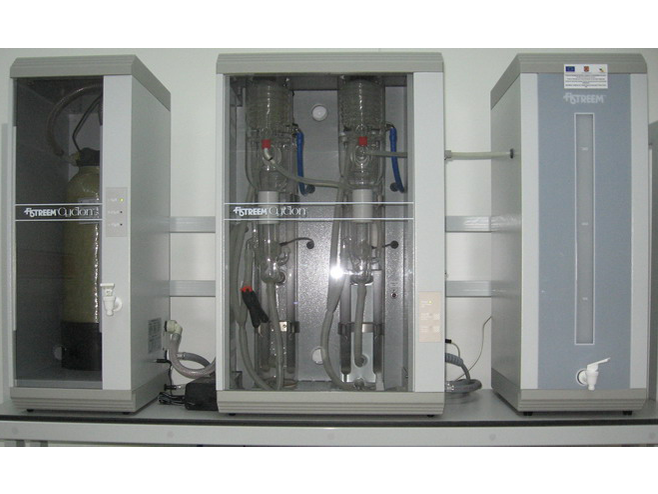 The Autolab instrument is controlled by a personal computer equipped with General Purpose Electrochemical System software (GPES) and NOVA 1.4 software, which provide a fully electrochemical measurements system. 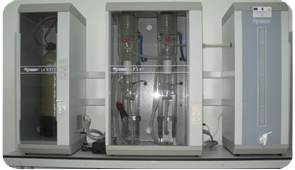 The instrument can be used for general electrochemical research, for electrochemical processes like plating and electrodeposition and for electrochemical corrosion processes. The electrochemical measurements accomplished with the Autolab can determine the redox activity of a certain compound, the formal potential and the number of electrons involved, the reversibility of the reaction, if the reaction is controlled by diffusion or by kinetics of the electron transfer, the amperometric detection of a certain compound, etc. 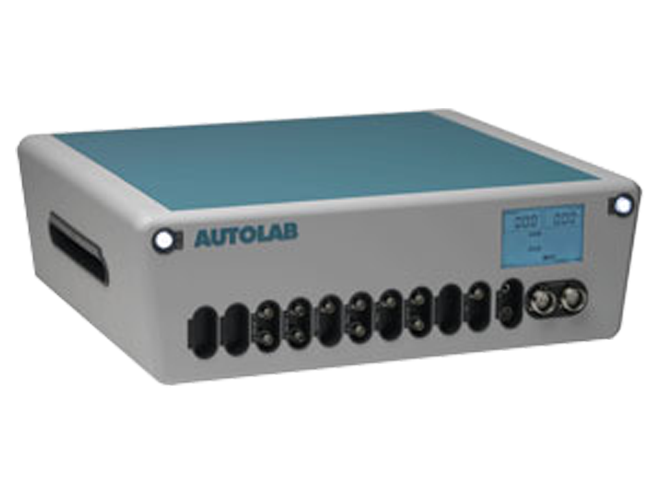 The Autolab system is coupled with AvaSpec 3648 Fiber Optic Spectrometer System from Avantes, The Netherlands for spectroelectrochemical analysis. Spectroelectrochemistry couples the electrochemical studies with different spectroscopic methods (UV/VIS, IR) for obtaining information on structural and molecular properties during electrochemical reactions. In particular, UV/VIS spectroelectrochemistry investigates chemical reactions related to electron transfer and determines the structure of the reactants in situ. Recording the electronic absorption spectra directly during the electrochemical reaction allows identifying the compounds yielded. Due to the direct control of the spectrometer by the potentiostat, the electrochemical and optical information can be easily cross-correlated. 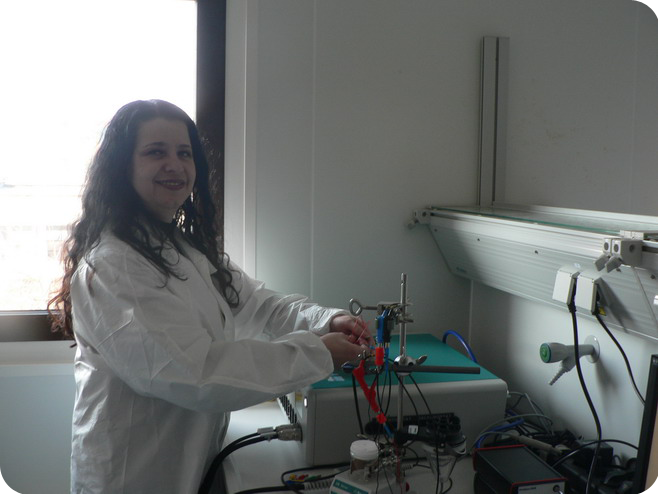 Ph.D. Student Ioana-Maria Simionca – Biochemist; Bachelor Degree in Technological Biochemistry and Master Degree in Environmental Chemistry and Food Safety at “Alexandru Ioan Cuza” University of Iasi, Faculty of Chemistry. Currently Ph.D. Student at “Petru Poni” Institute of Macromolecular Chemistry, Iasi, Romania. Experience and background: synthesis and characterization of redox polymers and copolymers; trained to carry out several types of analysis: electrochemical analysis, dynamic light scatering (DLS), infra-red spectroscopy (FT-IR), fluorescence spectroscopy and UV-VIS spectroscopy analysis. Fields of interest: synthesis and characterisation of materials with redox properties with applications in obtaining electro-chemical sensors. 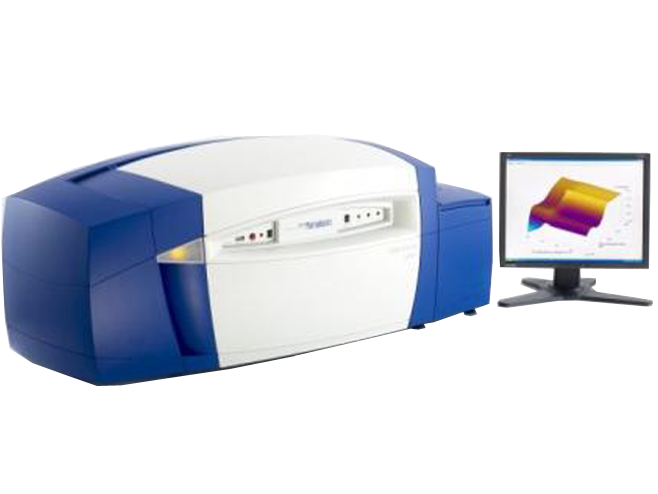 FluoroMax®-4 spectrofluorometer (HORIBA, Japan) is used to measure and record the fluorescence of the liquid and solid samples (thin films, powders, pellets, microscope slides, and fibers). Signal-to-Noise Ratio: 3000:1 (steady-state mode). 1. Time Correlated Single Photon Counting (TCSPC) for lifetime and anisotropy lifetime measurements. The pulsed source used in TCSPC is a NanoLED solid-state pulsed diode, which can cover the domain from deep-UV to near-IR. 2. Quanta-Phi – integrating sphere for quantum yield and CIE (1931 and 1976) color values calculation. 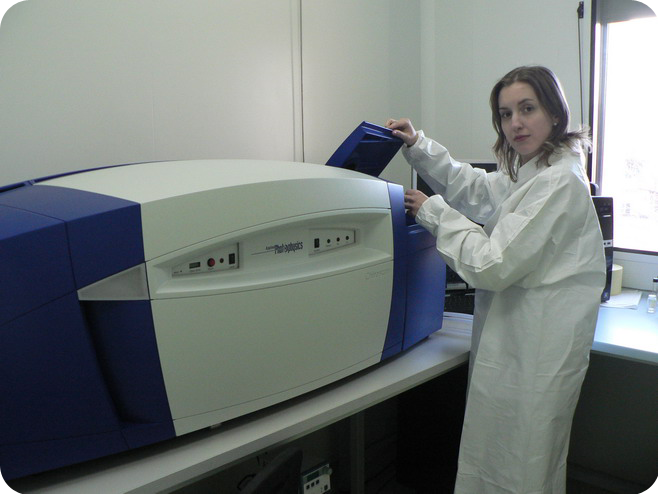 Ph.D. Student Cristina Mariana Urîtu – Chemical Engineer (since 1993) and Biomedical Engineer (since 2009) with a master degree in Advanced Medical Biotechnology (2011). Field of interest: Controlled delivery systems of bioactive compounds. The main activities: synthesis and characterization of nanoconjugates with biomedical application. 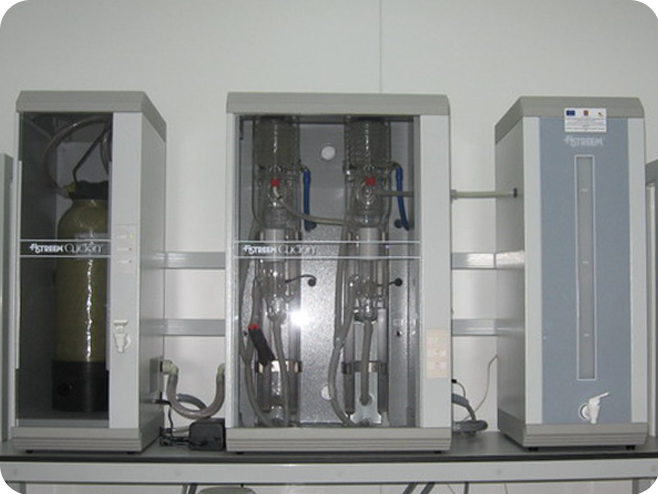 LAMBDA 35 UV/Vis System (Perkin Elmer Inc., USA) for measurements on liquids, solids, pastes and powder samples, also regulatory tests requiring variable resolution. modes of operation: scanning, wavelength program, time-drive, rate, quant, scanning quant.